Throughout your life, you have been under the leadership of both effective and ineffective leaders. why you loved or hated a particular person’s style or a particular organization’s policies. several perspectives. Your task is to apply that academic knowledge to your own history. • Examples of both effective and ineffective leaders and/or organizations. effective. Tie specific examples to specific course content. should be written in first-person. In school I have had good and bad experiences in dealing with leaders. Two good experiences I had with professors at the University were in classes where the professors recognized for me being an international student. I appreciated their recognition because I feel like it is something that is obvious but not always recognized. One bad experience I had with a professor was a situation where the professor did not care to get to know the students and seemed to be there just because it was a job and not because he loved to do it. My favorite teachers have been those who show an interest in the students. To me, they possess leadership qualities like Emotional Intelligence and Social Intelligence. They also sometimes show servant leadership skills, which I like because it makes me think they really care about helping me to achieve my goals. When the teachers act like they are the best and know everything and that we students are unintelligent because we do not have degrees, I feel like the teacher is trying to compensate for some absence inside and that the teacher is not really being a good leader. Bad leaders bring negative energy to an environment and they can pull down morale (Schyns, Schilling, 2013)—and that is what happened with me in this one case of being in a classroom with a teacher who did not show that he cared about students. The two good professors that stand out in my experience at the university appealed to me because from the first day of class they showed interest in getting to know the students. I am also interested in getting to know the professors, so I liked that we did not just dive right into the class material and ignore the fact that we are strangers. We will be investing time together in one another so why not take a little while to know one another and share some things about each other. I used to not like to do this because I was shy and embarrassed about sharing information about myself because I did not know what I wanted to do with my future—but that was a while ago and I have since made up my mind and decided who I want to be—so I am more confident now. Sometimes in class it happens that a student is like the old me and is uncomfortable talking. What I liked about these two professors was that they did not try to make fun of the student or make the student feel strange. Instead they showed their sensitivity and expressed interest in what little the student had to say. One of the professors would ask some good questions or show good humor and that would help the student open up. The student would laugh and feel more comfortable. Another time, a student did not laugh and the teacher saw that this was not a good way to get the student to open up and instead said something serious to show the student that he was respectful of the student’s ideas. This worked and the student sat up and began to feel good that the professor was taking him seriously. I liked this about the professor. Both professors had this ability to be effective communicators. When it came to me, they saw that I was an international student and they took interest in where I am from and they asked questions. What I also liked was that they did not show any greater interest in any one student than they did in another. So it was not easy to say that, oh, this teacher likes this kind of student more than that kind. No, it could not be said. The professors were very genuine and kind to everyone as they got to know us, and I did not feel out of place but felt much more connected to everyone. I think everyone felt easy and comfortable about being in the class after taking the first class just to get to know one another. We realize that we are all there together to get the same job done. We all want good grades and to be successful, so after that first day, in both of these classes we realize that we can help each other and talk to one another very freely, asking questions and offering solutions. I later realized that these two teachers are friends and that helped me to see why they had such similar styles: they seemed to be part of this same attitude of servant leadership and want to express this style in their own lives. I really appreciated this the most and wish that all my teachers were showing this—and not just showing it but really embracing it and believing in it. Sometimes a teacher can show it but not really believe it or even be interested in it. This is a problem because it makes me feel like I am just being used so as to be part of a silly formula that the teacher feels he must follow in order to get through the process of teaching. I do not like feeling that our contact and communication is just formulaic for form’s sake. I want to believe that there is genuine interest and regard when I am speaking with someone. That is what brings me to my bad experience with a teacher. This teacher did this same method of getting to know the students—but it went very quickly and there was not much ease or comfort about it. The teacher did not show any signs of enthusiasm for getting to know the students and it just seemed very perfunctory and not even of interest to her. I don’t know why she had us introduce ourselves to the class because there was no exchange of idea, as there was with the two professors I liked. They talked to each student in the class and for several minutes sometimes because they were interested in us. This teacher, however, just acted like she wanted to get this procedure out of the way and that she really didn’t even see the point in it. I like talking about my interests now and wanted to share my experience as an international student but this teacher was not even looking at me as I was talking. She was looking at her lesson plan or notes and waiting for me to stop talking so she could go on to the next student. It was frustrating because I was looking forward to this class, but after this first day I began to dread it. The teacher’s attitude in that class was the same no matter what we were doing. She gave lectures as though she were not talking to us but were simply giving them to the air. I imagined the class could be empty and she would still be talking in that same way, not even looking at us or even thinking about what were doing, whether we were getting it or not. Her style of leadership, I felt, was like the old Great Leader theory—except there was nothing really great about her and she did not even have good leadership skills. She did not try to help us to reach our potential. She did not try to identify our individual strengths and weaknesses. She was just interested in getting through the material, as that was what she considered to be her end of the deal. Whether or not we got it was not her problem—that was our problem. And if we did have a problem, she was not interested in listening to it because she seemed to be preoccupied with her own. I thought it very odd that she was a professor in the first place because I did not see how she even saw herself in this role. It was like it was just business and that is what allows corruption to seep in (Anand, Ashforth, Joshi, 2005). There was also one time where I got into an argument with this teacher, which I did not mean to do, but I disagreed with an idea that she was teaching and I wanted to give my reason why. She dismissed my reason without even seeing the logic of it, and I was very upset by this. I felt the logic was very good but she did not want to talk about it because it contradicted what she had already decided was the right way to look at things. I did not understand why she would not at least allow us to talk about it in class or let other students say something about my alternative view. I felt like my teacher was not really a teacher at that point but just like a robot that had been programmed to deliver certain lines. She was always on her script and if she did not know a response to something that challenged the script, she shut down. This was a big contrast to the other two professors I liked: they would listen and let the class get into a big discussion, even if it veered off topic. They could always return to the subject of the class but they really enjoyed it when ideas were brought up by the students that challenged them. They would stop and think and sometimes even agree with the students if it was a good idea that they had not thought of. Or they would listen and discuss it and eventually convince the student otherwise. This is why I valued those teachers and their leadership more than the bad teacher: they had the emotional and social intelligence to see how to connect to people and inspire them to think. It was always fun to be engaging with these two professors. I felt that I learned a lot from them, which is the point of education. With the bad teacher, I felt that I never learned anything. We were just there to fill the time and repeat back to her what she said in class for the test. It was not interesting or challenging. She lacked leadership traits to inspire and make us want to be good students. What I learned from these experiences is that I want to be a servant leader like the teachers I admired. I want to devote myself to others and use emotional and social intelligence skills to communicate effectively with them. I want to know what cues to pick up on and what things to say and not say when dealing with a particular person. The point of this would be to help that person open up and be willing to trust me to help them achieve their goals. It is interesting to me that we all have basically similar goals in life and yet we are almost always distrustful and even sometimes competing against one another. I think it would be better if were actually making friends with one another and helping each other out. To me, servant leadership is based on this concept of friendship and this desire to see others succeed. You can forget about yourself for a little while and your needs and focus on the needs of others. That is why my two good professors did: they would set aside their lesson plan for the class or deviate from the notes, which they knew they had to get through at some point, if they saw that students needed to address other issues first. They were truly tuned into what was going on around them, and that really impressed me and made me admire them. To avoid being a bad leader, therefore, I learned that one has to get outside of oneself for a little while. One has to trust to the process of being a servant leader, in that when one is helping another person it is a good example of what it means to actually be a leader and be successful. That simple act of lending aid is a lesson in and of itself and teaches so many things. It teaches humility, that humility can be a good thing to keep us from becoming too full of ourselves and pretentious in our ways. It teaches kindness and that we are all together in a community and should be mindful of one another. When we are too focused on our own path ahead, we are wearing blinders and might actually bump into someone or prevent another from getting ahead. Instead, a servant leader will realize we are all trying to achieve a goal and therefore we should be helping each other because sometimes we all run out of gas—so better to have many friends around us who can support us when that happens. That way we will all be sure of reaching the finish line and winning the prizes we want to win. Anand, V., Ashforth, B., Joshi, M. (2005). Business as usual: The acceptance and perpetuation of corruption in organizations. Academy of Management Executive, 19(4): 9-23. Schyns, B., Schilling, J. (2013). How bad are the effects of bad leaders? A meta-analysis of destructive leadership and its outcomes. The Leadership Quarterly, 24: 138-158. "Good and Bad Experiences with Leadership Essay." Aceyourpaper.com. Student Network Resources Inc, 16 October. 2017. Web. 20 April 2019. Student Network Resources Inc. "Good and Bad Experiences with Leadership Essay." Aceyourpaper.com. 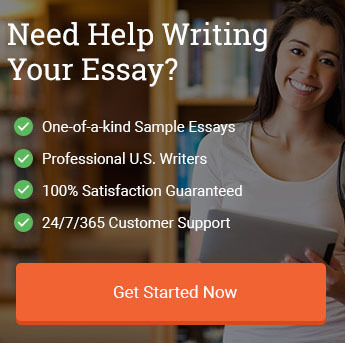 https://www.aceyourpaper.com/essay/good-bad-experiences-with-leadership-essay/ (accessed April 20, 2019).